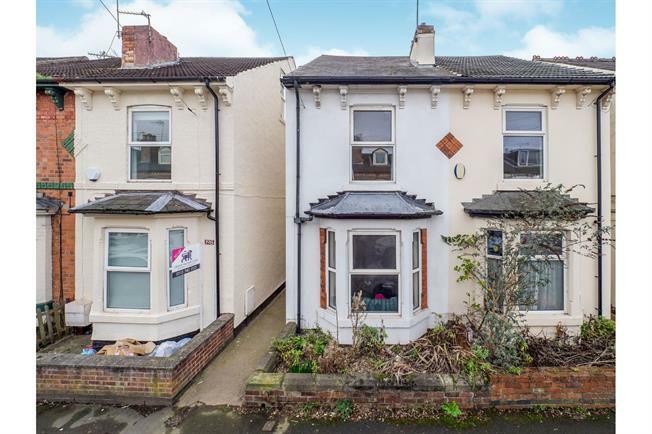 3 Bedroom Semi Detached House For Sale in Nottingham for Asking Price £190,000. This three bedroom semi detached home is a MUST view! Boasting two large reception rooms and modern kitchen to the rear to the ground floor, two good sized bedrooms and modern bathroom on the 1st floor and a large master bedroom on the 2nd floor. The property benefits from Gas Central Heating. This property is a fantastic opportunity for first time buyers and investors. UPVC French double glazed door, opening onto the patio. Double glazed UPVC window. Radiator. Roll top work surface, fitted units, single sink with drainer, electric oven, gas hob, overhead extractor. Double bedroom; double glazed UPVC velux window. Radiator, laminate flooring, a built-in wardrobe and boiler. Double glazed UPVC window with frosted glass facing the side. Radiator and heated towel rail. Standard WC, corner bath, shower over bath, pedestal sink.